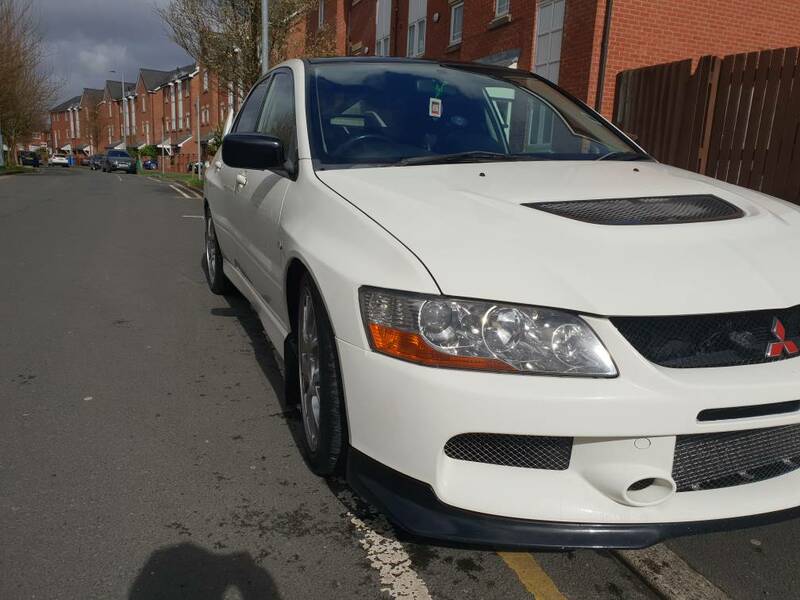 Hi selling my evo as it's not really the car for me. Really fast and everything but just fancy something a bit more luxury. 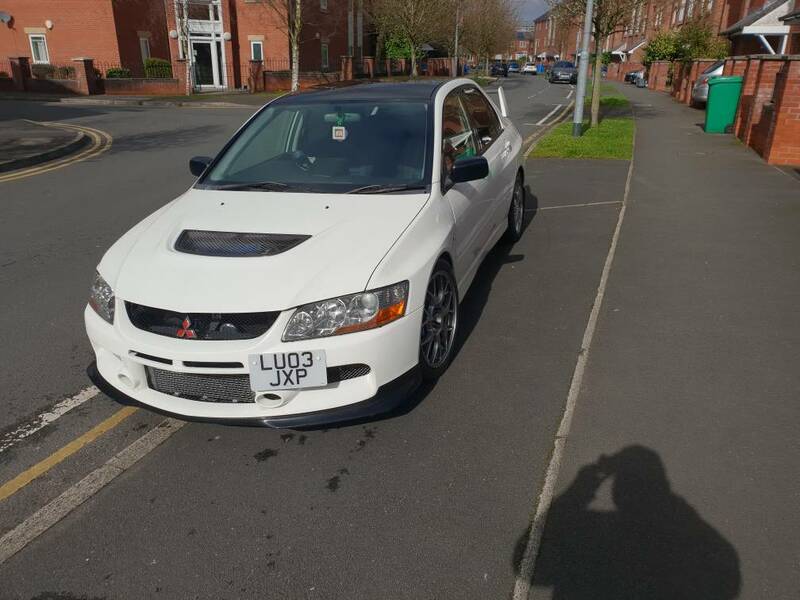 Mitsubishi lancer evo 8 running 340bhp with 360 torque with print out.
. AEM spark plug cover. It's been nice owning this car. 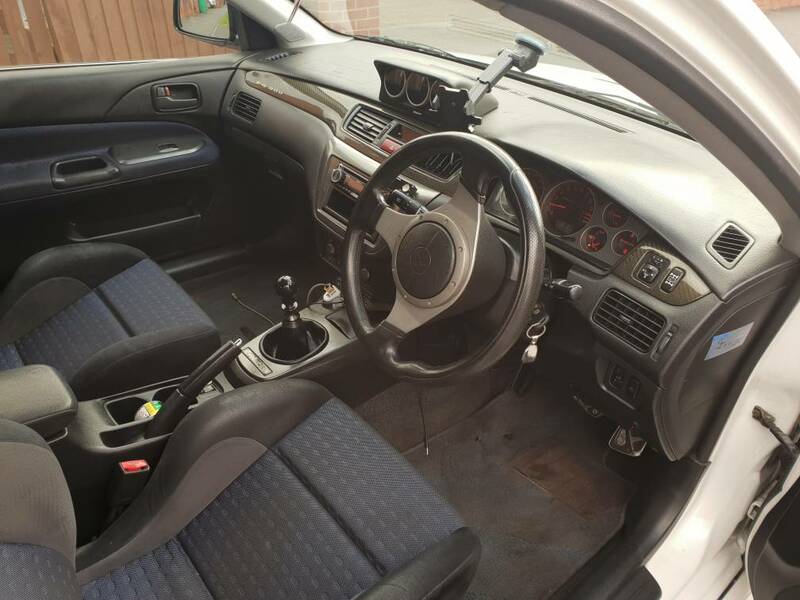 Just that I fancy something a little more luxury as this car only wants me to go fast. And I don't want to abuse it. Full service history since in UK and next one due in around 300 miles. 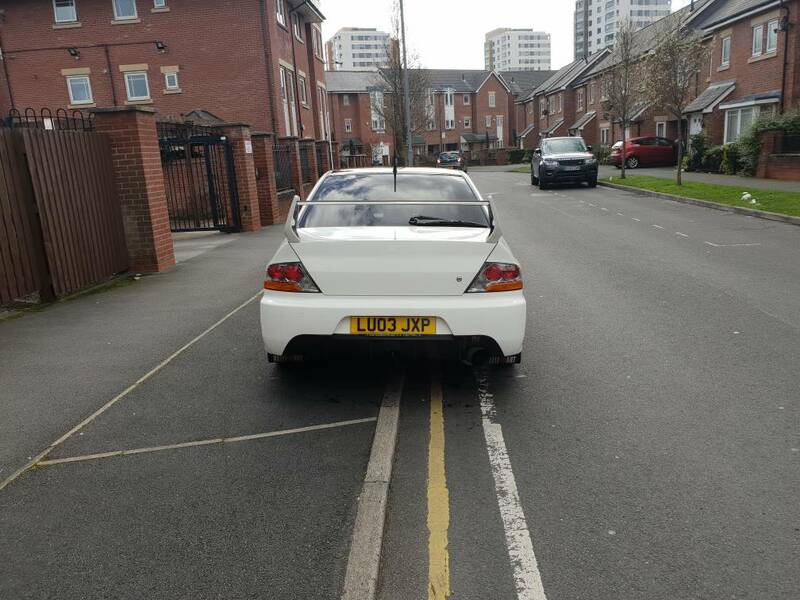 Not going to be driving it much till it's sold maybe 30 miles a weeks. Any questions please message me. Or phone me on 07402043410. 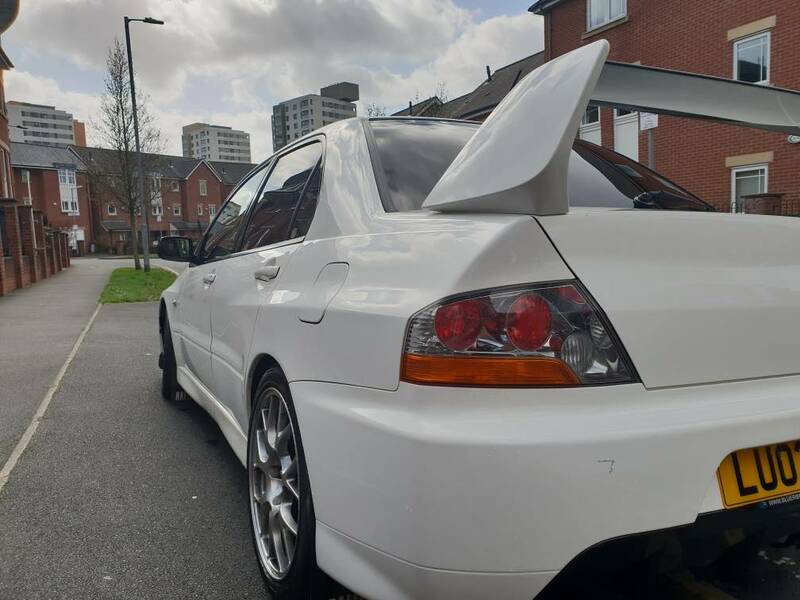 Really nice car this , 8s are so rare in white ( probably as rare as yellow ). 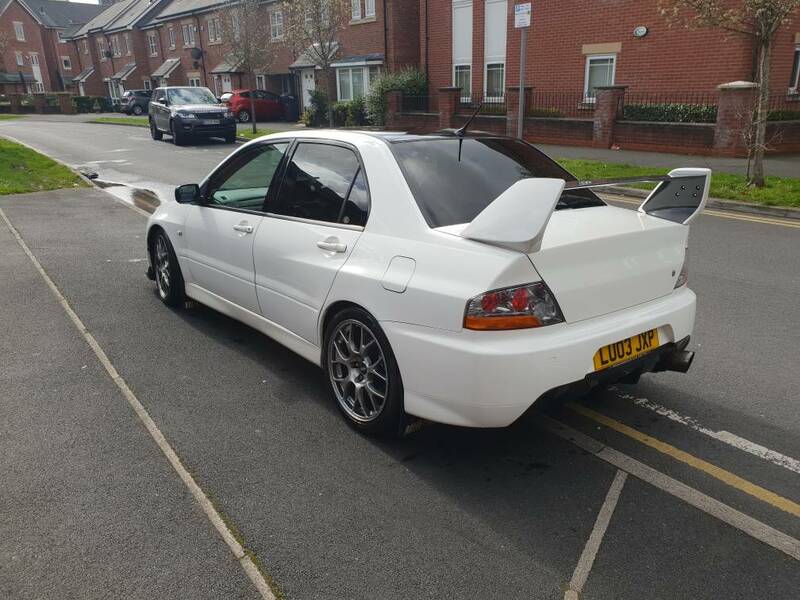 Recent import to so not rotten , good , sensible modifications and only £10000 and still for sale it seems....shows how evo prices have been utterly bashed over the last year or so. It’s cheaper still on EBay. 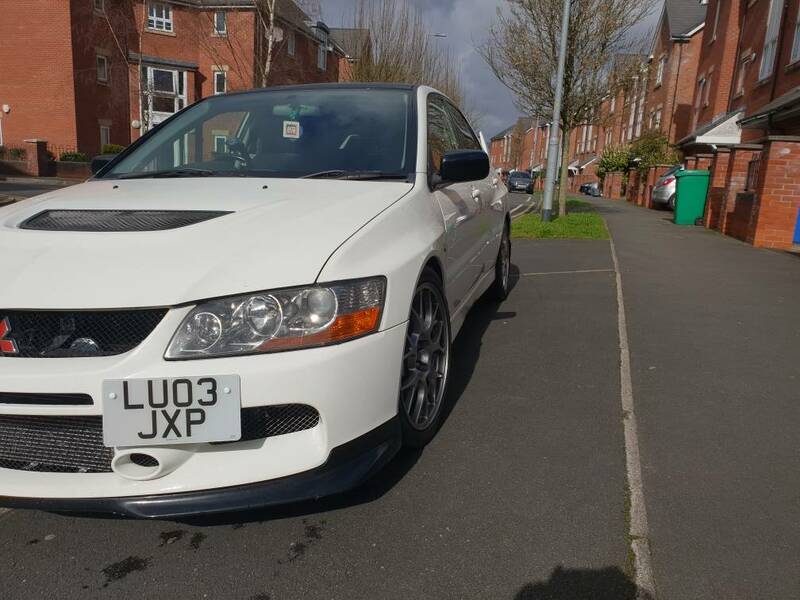 £9750..
Yeah agree, nice looking car. GLWTS. 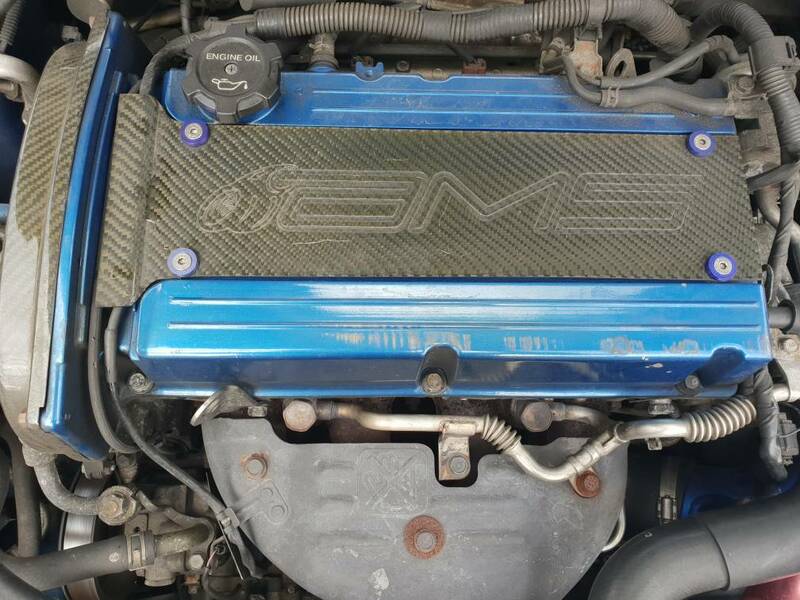 So why is the engine bay blue? 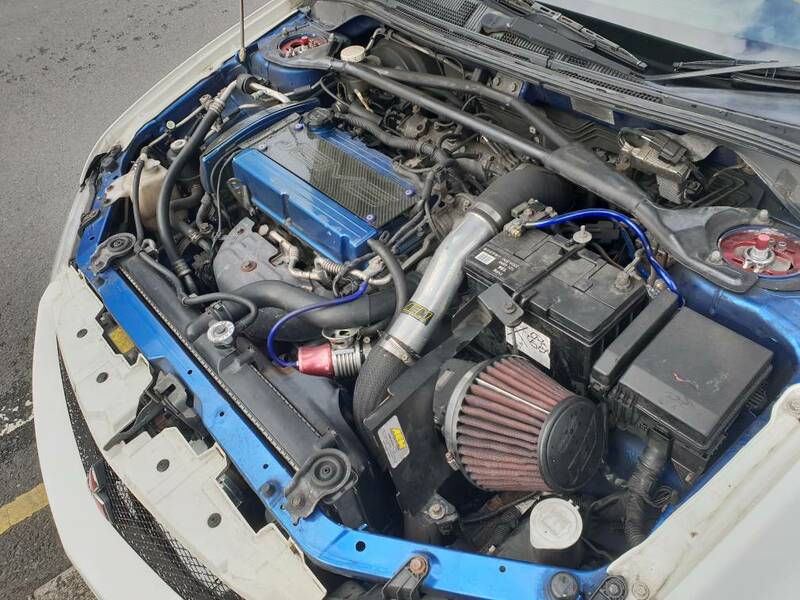 Seems odd to strip the engine bay completely unless it was blue to start with? Hi do you have any pictures of the underside.